One of numerous memorable moments from the Coen brothers’ Oscar-nominated Western anthology film The Ballad of Buster Scruggs comes when—spoiler alert—the titular character (Tim Blake Nelson) is killed in a duel and ascends to heaven, cartoon-style, complete with wings and a harp, all while singing a duet with his rival (Willie Watson). 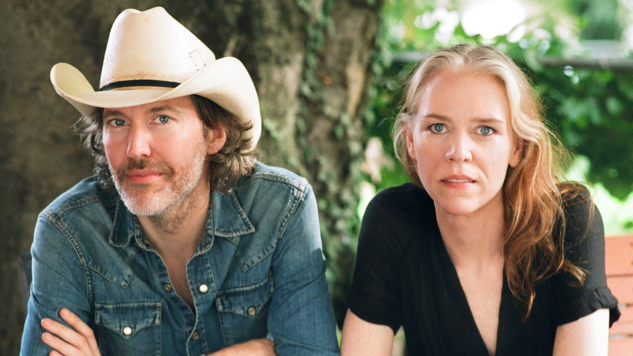 The song the pair of gunslingers sing, “When a Cowboy Trades His Spurs For Wings,” was written by Gillian Welch and David Rawlings, who Tuesday released their own version of the Oscar-nominated song via Acony Records. Welch and Rawlings will perform “When a Cowboy Trades His Spurs For Wings” at the 91st Academy Awards on Feb. 24, where it’s nominated for Best Original Song alongside Black Panther’s “All the Stars,” RBG’s “I Will Fight,” Mary Poppins Returns’ “The Place Where Lost Things Go” and the odds-on favorite, A Star Is Born’s Grammy-winning anthem, “Shallow.” The duo will also perform the song on The Grand Ole Opry radio broadcast on Feb. 16—tickets to their performance at Nashville’s Opry House are available here. This was not Welch’s first time collaborating with the Coens—she also served as an executive producer and performer on the eight-times platinum soundtrack for their 2000 crime-comedy O Brother, Where Art Thou?, for which she won an Album of the Year Grammy. Listen to Welch and Rawlings’ “When A Cowboy Trades His Spurs For Wings” below, along with Watson and Nelson’s rendition from the film, and find a 2008 Welch and Rawlings performance from the Paste archives further down.